Gladys, treasurer of the Tulina Esubi Tree Growers Association in Central Uganda, used to buy her bananas — a staple food of the region — from the market. Now she is producing all that her family needs and even keeping some aside for sale. The Tulina Esubi Tree Growers Association brings together 35 smallholder farmers, 20 of whom are women. The association started planting fast-growing trees for charcoal production after a few training sessions in conservation agriculture and forestry management provided by the UNDP-GEF “Green Charcoal” project. 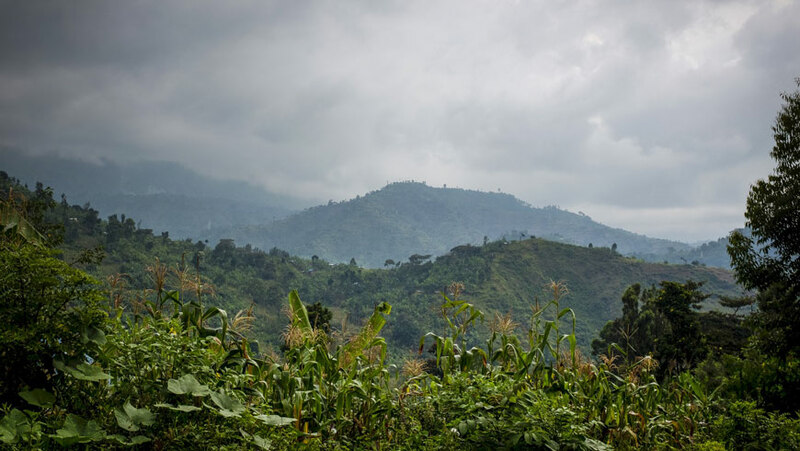 With a deforestation rate of 1.8 percent per year, Uganda’s forests are disappearing at an alarming rate. Over 80 percent of the population in Uganda depends on biomass as their main source of energy. Charcoal is often preferred since it is affordable, burns with limited smoke and is easier to transport. By some estimates, 6 million tonnes of wood are annually transformed into 1.8 million tonnes of charcoal. But production is destructive, as charcoal producers often harvest whole trees from indigenous forests, believing that the bigger the logs, the better the charcoal. This also has knock-on effects such as loss of wildlife, greenhouse gas emissions, soil erosion and increased flooding. To promote forest conservation, UNDP, in partnership with the Ministry of Energy and the National Forestry Authority, is training charcoal producers in four selected districts to adopt new, environmental-friendly technologies that enable them to spare the trees while still earning a living. In the Nakaseke district, northwest of Kampala, charcoal producers who had been using traditional earth kilns — where wood is covered with soil then left to burn for up to a week — were introduced to new conversion kilns that are up to 40 percent more efficient in converting wood to charcoal. Metal kilns are usually made from ordinary oil drums, with a pipe acting as chimney. Dried branches and wood are arranged into the drum, which is then covered before a fire is lit from the bottom. ©UNDP Uganda. Metal kilns are usually made from ordinary oil drums, with a pipe acting as chimney. Dried branches and wood are arranged into the drum, which is then covered before a fire is lit from the bottom. “For 100 kg of wood, you will have up to 40 kg of charcoal. Using traditional methods, you would only get 10 kg of charcoal. Plus, you reduce greenhouse gas emissions,” said Dr. Samuel Bagabo, a charcoal expert on the launch of the project. Women and youth entrepreneurs in 16 associations were trained in manufacturing charcoal briquettes and marketing them, significantly increasing their output and income. To encourage producers to plant and grow their own woodlots for conversion into charcoal, participants received seedlings of fast-growing trees. Local communities view the project with enthusiasm, particularly women, who are actively involved in the charcoal business, both as producers and end-users. So far, close to 5 million trees were planted, more than 1,700 community members benefited directly from the project activities, while more than 300 indirect beneficiaries adopted conservation agriculture and tree planting. In some cases, agricultural yields have tripled as a result. Similar projects are run by UNDP in Kenya, Sierra Leone and Côte d’Ivoire, among others. In the past 20 years, UNDP has supported more than 100 developing countries in providing sustainable energy solutions, and in advocating for energy to become a development priority.